You can trust our experienced mechanics to service your vehicle to the highest possible standard. 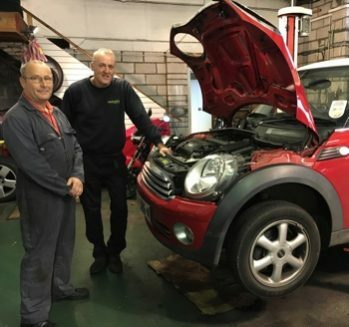 We offer a range of services including car, van and motorcycle servicing, maintenance and repair. With a background in bike racing, we also have extensive experience working on motorcycles and through our cycle shop we also service and maintain road and mountain bikes. Schedule your car, van or bike for service or maintenance today. Keep your car, van or bike engine in tip-top condition with regular oil-changes. Regular inspection and replacement of worn brake discs and pads can keep your vehicle stopping correctly and safely. Air-con gas refill, replacement filters, inspection and maintenance available. Automatic, manual, 4WD, 2WD gear-box and transmission servicing. All electrical and lighting faults can be diagnosed and corrected. We offer full tyre and wheel replacement services for bikes, vans, motorcycles and cycle bikes. Arrange a service. Call today!